By definition, a vegan diet excludes all foods that are obtained from animals including products like eggs, honey or dairy. Dairy products are often substituted with soy extracts. People might decide to go Vegan due to either ethical, religious or health reasons. Some attest this switch to their disapproval of methods of production of animal foods. Being a Vegan does not deprive someone of the essential nutrients required for a healthy living because it is possible to constitute a balanced vegan diet. A typical plant-based diet contains fruits/ vegetables, starch, proteins (legumes), soya- based drinks/oils/food like tofu and nuts(a good source of unsaturated fats). Perhaps the most striking upside of being vegan is that you totally reduce levels of cholesterol and saturated fat intake into the body. The disadvantage also is that the vegan diet lacks vitamin D but which can be found from sunlight exposure. Veganism has received worldwide acclamation from several personalities including scientists, religious leaders, ethical scholars, and even celebrities. Some of these include Bill Clinton, who became vegan in 2010 due to health reasons others like Carrie Underwood, Natalie Portman, Jessica Alba, Woody Harrelson among others, have had their reasons too. 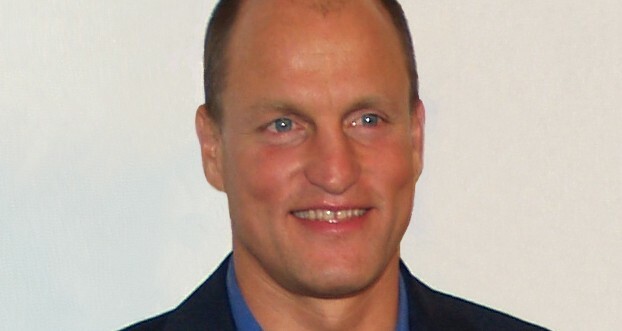 Woody Harrelson, an American actor, is known most for his role in the movie ‘Hunger Games‘. He has appeared in several films since 1987. Commonly referred to as eccentric, Woody has been very vocal on a vegan lifestyle. His entire family is vegan and avoid using synthetic products. In addition to being vegan for ethical reasons, he is an environmental activist. He has received an honorary degree for his contribution to environmental awareness from the York University. His house is purely powered by solar. His diet does not include sugar or flour mostly because he prefers to consume raw foods. In other posts, he is also ranked as one of the sexiest celebrity vegans. The 54-year-old Emmy Award winner switched to veganism when he was around 24 years old after an incident in a New York bus at the onset of his acting career. Woody has expressed a lot of enthusiasm for the vegan diet and is very pleased with the switch as he has said many times before. Looking at him, you would probably think he is in his thirties because he portrays an adamant physique. Switching to a vegan diet holds numerous potential benefits including weight reduction, skin rejuvenation among others. However, experts warn that healthy living also includes intake of the right amounts of foods.